Senator John McCain with bearded jihadists. 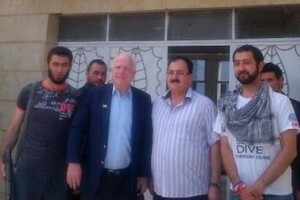 McCain entered Syria illegally to show support for the these terrorists. Senator McCain supports group calling for destruction of Israel – Senator John McCain (R-AZ) traveled to Syria illegally to visit with “rebels” seeking to overthrow the government of Syria. McCain met with leaders of the Free Syrian Army units run by Gen. Salem Idris – a man who has openly declared that Israel is his enemy and deserves to be destroyed. 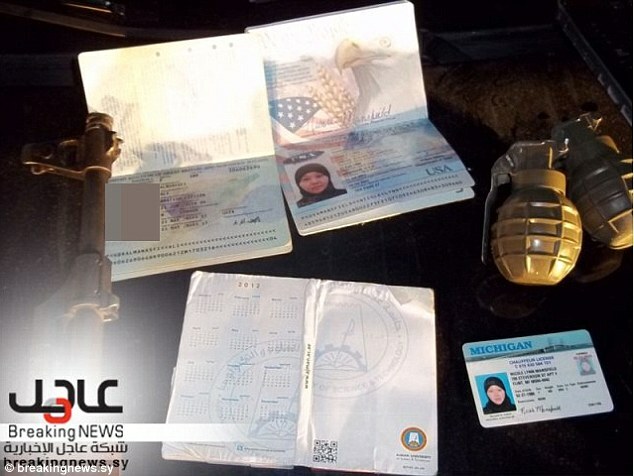 McCain wants to provide arms, supplies and apparently U.S. military assets to help these jihadists who have killed thousands of Christians in Syria. Read more Breaking news – Man pictured with McCain is called terrorist wanted for kidnapping in Lebanon.